I’m just about to start my day (yikes,530 am) so please ignore all the grammatical errors as I write this with one eye open laying in bed. I thought I’d share my concert experience lastnight. 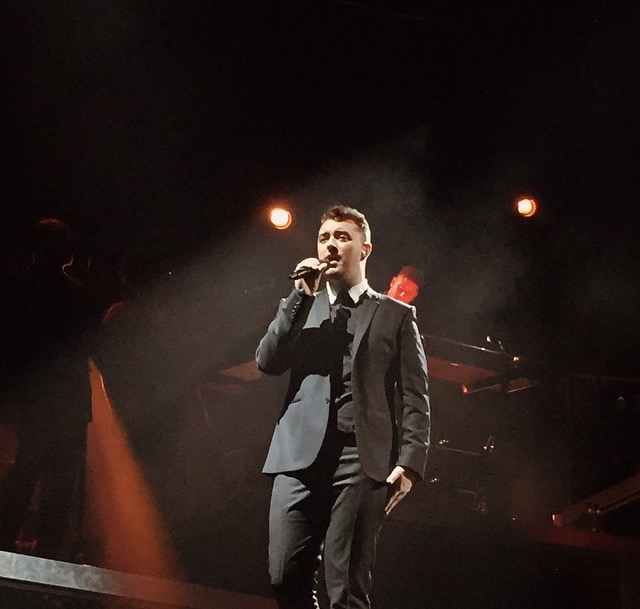 I want to go see the amazing and very talented Sam Smith. For those who don’t know, he’s an English singer and song writer and probably the best in his field at this time. He’s only 22 and surpasses many other big names right now. If the name doesn’t sound familiar, surely some of his songs will. 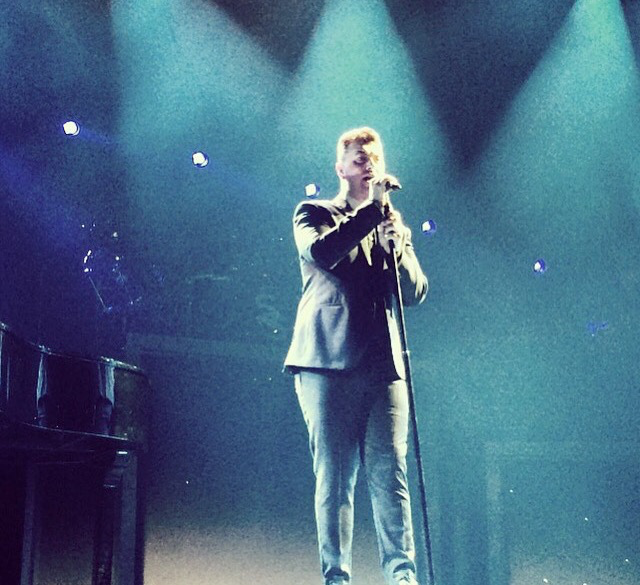 “Latch” is probably one of my favourites but “Money on my mind” and “I’m not the only one” are beautiful songs too. He was so good in concert (not that I’d expect any less) and I’m so glad I got to see him live. For one reason or another he reminds me of a male version of Adele which is a very bold statement but nonetheless, a real comparison. Maybe because he’s around the same age as her when she originally got very famous (even though I was a fan of her even before her cd 19 came out) or maybe it’s the whole English accent UK thing. If he’s in your hometown or anywhere at a drives distance I would definitely recommend going to see him live! It is more certainly worth the ride. 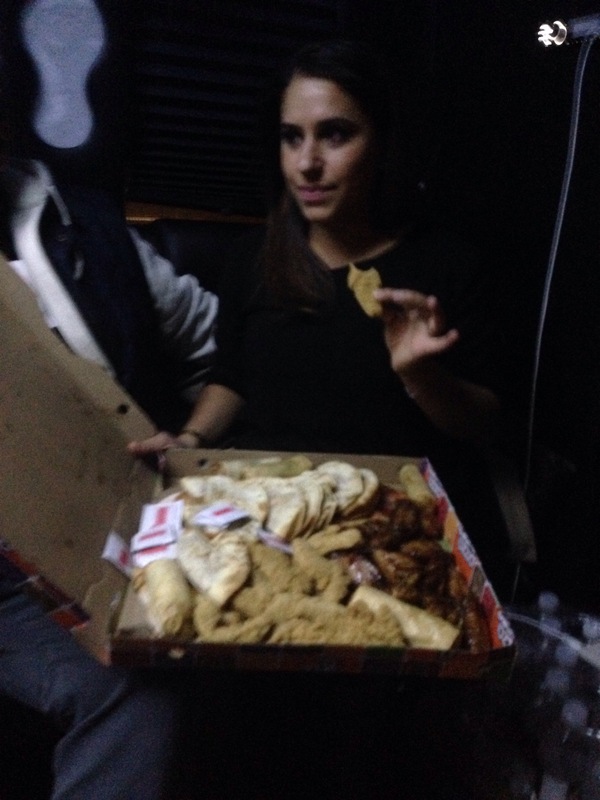 Also, because it’s such a funny picture… This is my friend Sara with a whole to go box with an assortment of pizza, wings, chicken fingers, fajitas and spring rolls hahaha we are such sloppy hungry drunks.